“You may have heard about the significant controversy there has been over Surrey County Council’s (SCC) proposals to develop Newlands Corner, near Guildford. I have asked your organisation to pass this letter on to you to ask for your help in objecting to the initial stage of SCC’s plans which concerns the introduction of car park charge machines onto the site. 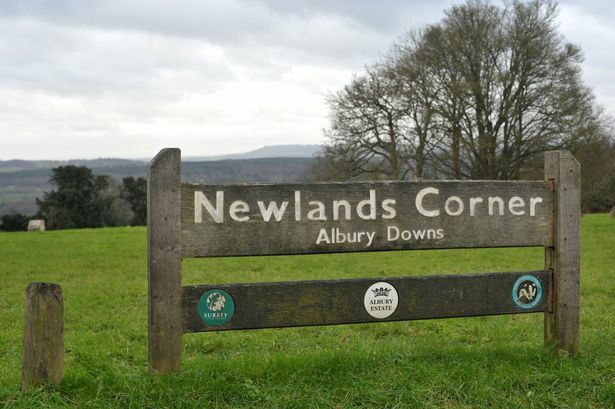 Newlands Corner, including the car park, is registered common land, managed by Surrey Wildlife Trust (SWT) on behalf of SCC. The placing of fixed structures on common land needs to be approved by the Planning Inspectorate (part of the Department for Environment, Food & Rural Affairs). On 14 September, SCC submitted an application to the Planning Inspectorate for the introduction of three parking charge machines onto the common. It doesn’t sound like much. But the implications of this are very significant, not only for Newlands Corner and the many thousands who simply want it left as it is, open, natural and beautiful, but also for surrounding villages and other countryside sites. SCC wants to introduce 24-hour car parking charges because it is no longer prepared to pay to ‘maintain’ the site. It would also use the money generated to help pay for the upkeep of other sites in Surrey. SCC plans to increase the number of vehicles visiting Newlands Corner each year from 255,000 to a massive 365,000. We consider the only way this can be accommodated is by enlarging the car park. SCC has said that it wants to “restructure” it, without saying the word “enlarge”. So, more of the common seems destined to be buried under tarmac. SCC also wants to place large artificial play structures on the site. It believes that they would attract increased numbers of visitors – effectively turning Newlands Corner into a play park. The cost of installation and upkeep of the play structures would be met from the parking charges, whether people used them or not. Significantly, a SWT feasibility study stated that, without the attraction of these structures, the parking charge scheme was unlikely to be viable. Long term, the plan is to introduce a large, new visitor’s centre with a restaurant, “retail space” and coach park. Increased vehicle movements, including coaches, would multiply the dangers on the highway at the entrance – which is already a known danger. Displacement would take place – people parking on surrounding streets, verges or in the nearby villages of Shere and Albury (affecting businesses and residents) in order to avoid parking charges. These and other already beleaguered villages would have to cope with increased levels of traffic. Some low-income groups, including families, would not be able to afford to go there. In response to this, the chairman of SWT was quoted in a recent Surrey Advertiser article as saying that if people wanted free parking there were other places for them to go. ‘The People’s Trust for Endangered Species’ has recently reported on the threatened extinction of hazel dormice in Britain. SCC’s proposals threaten Newlands Corner’s own population of these shy, endearing creatures through noise pollution and vehicle emissions. If financially successful, we fear such proposals will be introduced at other sites in Surrey. SCC has tried to downplay the cost of parking at Newlands Corner, as if it would be negligible. However, it has given no guarantees about the future scale of parking charges. SWT’s feasibility study has indicated very steep rises to come, suggesting the first rise to be 20% within one to two years, with 10% rises in each of the following years. All of this would come about because of three parking charge machines on Newlands Corner. Many of us go to Newlands Corner for the sheer exhilaration of experiencing its unspoilt, natural openness, and fantastic views. A significant number also go there to get away from it all, to recharge their batteries or to gain comfort or solace from the memories it brings back of family days out. All of this would change. The proposals would introduce commerciality and artificiality to this Area of Outstanding Natural Beauty (AONB). It is, therefore, not in the interests of the neighbourhood (one of the criteria considered by the Planning Inspectorate) to introduce any of these measures. The National Association of AONBs says an AONB “is exactly what it says it is: an outstanding landscape whose distinctive character and natural beauty are so precious that it is in the nation’s interest to safeguard them”. It goes on to say “Because of their fragile natural beauty the primary purpose of AONB designation is to conserve and enhance the natural beauty of the landscape”. Everything SCC and SWT are proposing goes against these principles. 11,000 people have already signed a petition against the proposals. At a public meeting, 99.9% of attendees rejected the proposals. Hundreds of people have written to SCC or their councillors in protest. SCC and SWT are claiming to have listened, but are totally ignoring this and pressing on. To do this, the Appendix gives information about the application and suggests the sort of things you might want to object to. Please also see the information sheet attached as a separate document, which gives you lots of background and sets out our concerns about all of the proposals. You can also visit the campaign website www.savenewlandscorner.com and register for updates. If you need any further information, please contact us through the website. The above application is for the erection of car parking charge machines on the common (the car park being part of the common). It is not an application to introduce car-parking charges. The Planning Inspectorate can only consider whether the structures are appropriate. Objections cannot be about the principle of parking charges. 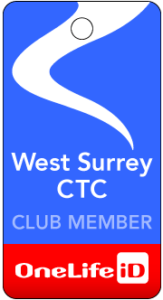 However, there is no reason why you cannot associate SCC’s wider intentions for Newlands Corner (play structures, large new building, coach park) with the introduction of these machines as they are the means by which SCC will achieve its aims. We believe the following are valid reasons for objection – you might have others. Copy and paste these by all means, but it is always better to use your own words wherever possible. They run counter to the overriding principle of AONB designation – “Because of their fragile natural beauty the primary purpose of AONB designation is to conserve and enhance the natural beauty of the landscape”. “AONB status provides a context for low key, long-term action, which relies upon partnership with local people” [National Association of AONBs]. There has been no prior consultation with local people to assess whether there is an alternative to parking charges, avoiding the need for these machines. The overall strategy is to increase vehicle volumes from 255,000 to 365,000 in four years to maximise income. This is not low-key action. The machines add to further fragmentation of the common. There is a cumulative effect of urbanisation which needs to stop. This proposal simply adds to it. Although only a small area, there will still be lack of access to the common land on which they will be put. They do not conform to the government’s policy objective of maintaining or improving the condition of the common or conferring some wider public benefit. The introduction of parking charge machines does nothing to positively benefit the neighbourhood or to protect the public’s interest in the land. The machines cannot be separated from SCC’s overall project for the site as they would be the means by which SCC would fund further development. They are part of one plan. The introduction of the machines is directly linked to the introduction of play structures. The play structures are designed to attract increased visitors, and the income will pay off loans for the building of the play structures. The introduction of play structures would go against one of the two secondary principles of AONB designation – “to meet the need for quiet enjoyment of the countryside”. Play structures result in concentrations of excitable and noisy children. The combined purpose of the play structures and, in the future, the proposed new building is to act as attractions in themselves to maximise parking income rather than to conserve and enhance the beauty of the AONB. “Improving visitor experience”[SCC] with these attractions is not the purpose of an AONB. This is Green Belt and any infill on the Green Belt should only take place in “very special circumstances”. These are not very special circumstances. An alternative way of paying for the maintenance of the site would be by forming a ‘Friends of Newlands Corner’ to raise funds and manage the site without the very significant overheads which SWT incur. This proposal has been largely ignored by SCC. The introduction of these machines would cause displacement of those who cannot afford, or refuse, to pay the charges. Local roads and the villages of Albury and Shere are likely to suffer, particularly commercially, if their free parking areas were filled with long-stay visitors who wished, for example, to walk the North Downs Way. The overall project, of which the proposed parking charge machines are an integral part, will be against the public interest in that it will adversely affect the natural environment and landscape. As the majority of people can only access Newlands Corner by car, for those with low incomes, or low disposable income, living in the neighbourhood, the parking charge machines will impose a financial barrier equivalent to a physical barrier for those wanting to exercise their public rights of access. The overall project, of which the proposed parking meters are an integral part, will completely change the character and nature of the existing common, by turning it into a commercial and artificial tourist attraction, whereas, given the legislative responsibilities placed on authorities, the focus should be on managing, improving and protecting it. The all ability trail is the only place where disabled people and people with pushchairs can find true quiet enjoyment of Newlands Corner – quiet enjoyment being one of the main aims of AONB status. SCC are going to put the play structures along it. But there are already plenty of other places for groups of noisy children to go – parks, Alice Holt, Go Ape etc.